It’s the unsolved case that’s inextricably linked with London’s east end and has sparked more theories over the last 123 years than, well, lots of other things. A new e-fit puts a face to what could be the previously-unidentified serial killer. Carl Feigenbaum, a German merchant, was a key suspect at the time and rather unwisely confessed to his lawyer his ‘desire to kill and mutilate every woman who falls in my way’. He was executed in 1894 in New York for the murder of his landlady. Although there were no pictures of Feigenbaum, Ripper expert Trevor Marriott used descriptions of him to create the e-fit. His belief that Feigenbaum is the prime suspect is based on evidence from police documents and letters. 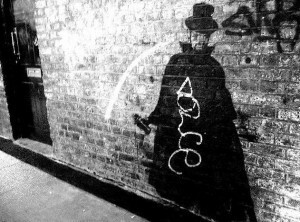 It’s not the first time an e-fit of Jack the Ripper has emerged – in 2006, a former Scotland Yard detective reinvestigated the case with the benefit of modern profiling techniques though a slightly different picture (we think the late Freddie Mercury may have been an inspiration) of the killer was drawn. The list of suspects for the murders have certainly produced a great deal of speculation (not to mention books, films, graphic novels and guided tours) and included artists, writers and royalty. In fact, it might be quicker to list the people not suspected of being the Ripper at one time or another. The Met’s Ripper files detail the murders and the suspects.